Here are some of Tolkien's linguistic notes about the phrase Mae g'ovannen. As you can see he changed his mind on the derivation of this phrase more than once. 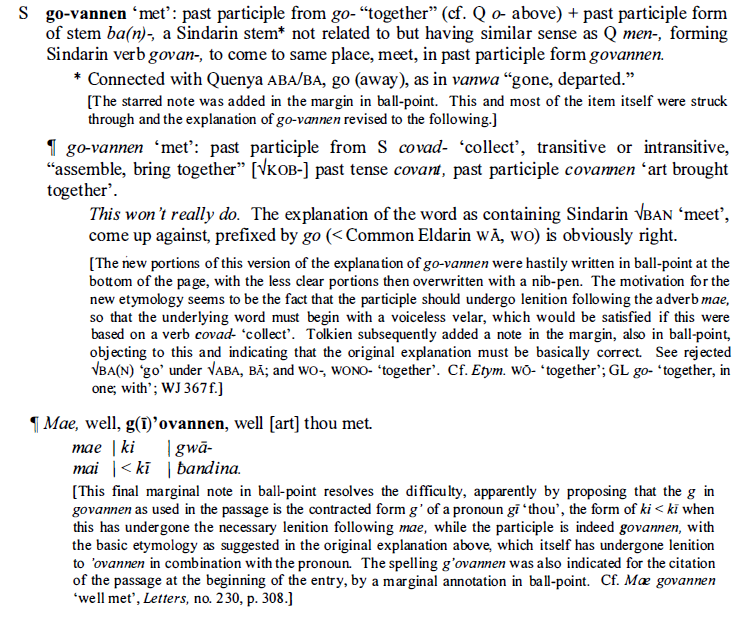 Tolkien's final derivation of the phrase being made of the adverb Mae = Well, and a pronoun Ci = You are (thou art) that has been mutated, plus the participle Govannen = Met is the basis I use for Mae l'ovannen. Mae l'ovannen is thus made up of Mae = Well, Le = You are (formal) and the participle Govannen, with the final vowel E of Le = You are, disappearing in the same manner as the final vowel I of Ci does.